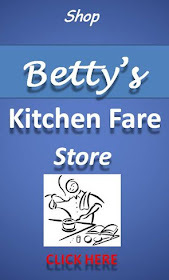 Q. Betty, my family loves good old macaroni and cheese, but it's time to spice up the recipe. Any suggestions? A key to making the sauce is to cook the flour and butter in the beginning for 3 or 4 minutes to make sure there is no “floury” taste so don’t skimp on this step. Stir the garlic into the melted butter. Drizzle the melted butter over the crumbs. Add the Parmigiano-Reggiano. Toss well with a spoon or your hands. Set aside. Put a large pot of water on to boil and preheat your oven to 350°. Melt the butter in a heavy-duty 3-to-4 quart saucepan. Whisk in the flour and continue to whisk over low heat for 3 or 4 minutes. Slowly add the milk, whisking constantly. Whisk until the sauce is smooth and slightly thickened. Raise the heat to medium and bring the sauce to a simmer, whisking constantly. Lower the heat to maintain a gently simmer and cook, whisking occasionally, for 10 minutes. In the meantime, salt the boiling water for the pasta and add the pasta. Cook for 7 minutes. Drain well, return to the cooking pot or a large bowl and toss with a tablespoon of butter to prevent sticking. Remove from the sauce from the heat and gently whisk in the cheeses. Add the sauce to the cooked pasta and toss well. Gently fold in the ham and peas to combine. Transfer the mixture to a 9-x-13 baking dish, top with the crumb mixture and bake for 15 minutes. If you don’t want to cook the entire mixture at once, divide as you wish into smaller portions and freeze for future use. 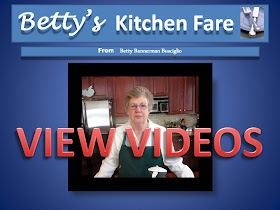 The video demonstration is below, please watch. To receive an e-mail alert when a new article is added, please become a subscriber...the button is top right. No spam!